Probably the fastest and easiest way to start an online business with a small budget. You can get started even with no funding at all. Start TODAY and get your first earnings already TOMORROW 100% RISK FREE! Create an online business by purchasing Community Tokens and growing your community. Earn FREE tokens every day by just visiting ADZbuzz and claiming ADZbuzz Community Tokens (ACT). 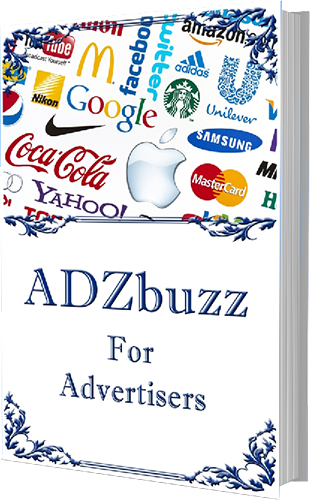 ADZbuzz communities are helping web publishers to get more traffic to their site. Content users can join their favorite site’s communities and get all the latest content straight to their easy to follow custom built feed. Give people the option to start an online business with a small or no budget at all. The main goal for publishers is to help them recover the lost ad revenue which has been jeopardized by “ad blocker” users. The goal for users is that ADZbuzz could become the only platform people will ever need to be up do date with the latest happenings.  Every ADZbuzz member is rewarded with unique community tokens which they can claim by simply visiting ADZbuzz only once a day. The whole process takes less than a minute of your day. Any site or blog which creates content can have its own community in ADZbuzz. ADZbuzz members can join that community and follow the content which is automatically shared from the site itself through RSS feed. Because of that, members don’t have to surf between different sites, they can access all the content from inside ADZbuzz. NB! ADZbuzz directs its members to the original post so web publishers are still getting the traffic they are depending on. You have a blog or a site you like to follow? Join that site’s community in ADZbuzz and you will get the access to all the latest content from that site straight from ADZbuzz. You can easily create your own custom feed with the sites you like to follow and with the topics you are most interested in. You can sort the feeds according to the categories that specific site has assigned to RSS feeds. There are multiple ways how you can follow the content in ADZbuzz. You can sort your feed according to the topics you have specified. You can choose to see posts from the certain site only. You can see posts from all the sites you follow or you can check the latest stream which consists latest posts from all the sites that are connected to ADZbuzz. Switching between different viewing options is really easy, with a push of a button only. If the site you like to visit does not have an ADZbuzz community yet, you can easily add it by sharing random post from the site. This will automatically create the community for that site. Every community has its own tokens (ACT – ADZbuzz Community Tokens) assigned to it (2 Million tokens for every community). Those tokens represent a share of the community. For example, if you own 200K “x” tokens, you own 10% of “x” community. Purchase ACT Credits and exchange those credits into fresh unclaimed community tokens of your choice. There are a total of 84 000 communities on sale with this offer and with every purchase, the price of the ACT Credit batch will increase by 1 USD. You have to act fast if you want to get the best possible price! All community tokens (ACT) are tradable in ADZbuzz Exchange. Purchase specific community tokens with a low price, grow the community and sell those tokens with a higher price. With community’s growth, tokens value will also increase. Every community in ADZbuzz earns revenue. That revenue is being spread among token holders according to how many tokens anyone holds. For example, you own 25% of “x” community’s tokens, this means you will get 25% of the total daily revenue of “x” community. The bigger the community and interaction in it, the bigger your daily earnings are. As every community gets its content through RSS feed automatically, your only job is to grow the community. One way to grow the community is to use ADZbuzz’s own Ad Space. Every ADZbuzz member can create his/her own blog in ADZbuzz. Blog is completely free: No hosting fees, no domain fees, nothing. Just start creating content and share with the world. Every ADZbuzz blog has its own community that works almost the same like a regular community. The difference is that ADZbuzz blog communities will not have tokens. That means other members cannot own shares in your blog’s community. As you are a “publisher” of that community, you will earn daily ADZcoins according to your community size and activity. What is The Difference Between Communities & Blogs? ADZbuzz communities are site specified communities while ADZbuzz blog is a personal blog which every ADZbuzz member can create. Every community represents one site or a blog. Do I have to pay to own a community? After creating your own ADZbuzz blog, you are automatically signed as an owner of your blog’s community for FREE. 2. Paid option one – Buy ACT Credits and turn them into unclaimed Community Tokens of your choice. Can I sell claimed or purchased Community Tokens? Yes, you can sell your ACT (ADZbuzz Community Tokens) and you can sell them in ADZbuzz Exchange. Go to ADZ Tutorials to find out how to do it exactly. What currency is accepted to purchase Community Tokens? Currently you can use ADZcoin, Bitcoin and Ethereum to purchase ACT. Can I own 100% of the community tokens? After ADZbuzz tokenizes a new community, 1.5 million tokens (75%) will be sold. The rest (500 000) will be used as a daily reward. So the highest percentage you can own at once is 75%. The rest you can buy if other members are willing to sell their ACT. You can place a buy wall in ADZbuzz Exchange and if the price is acceptable by other members, they will sell their ACT to you. How can I create a passive income with Community Tokens? As every ACT represents a share of a specific community, you are eligible to earn a portion of that community’s revenue according to the amount of ACT you hold. Own enough of ACT of most profitable communities and you are on your way to get a nice daily passive income. how much can I earn with Community Tokens? The revenue a community makes depends on the activity of that community. The algorithm which calculates the activity and earnings from that is confidential and not available for users. Here you can see the earnings of my highest earning community. Why should I start blogging in ADZbuzz? There are multiple reasons why you should blog in ADZbuzz. Here is the list of some of the reasons.